This is a very rich and creamy ice-cream that is easy to make. The richness comes from the cashew nuts and tofu. 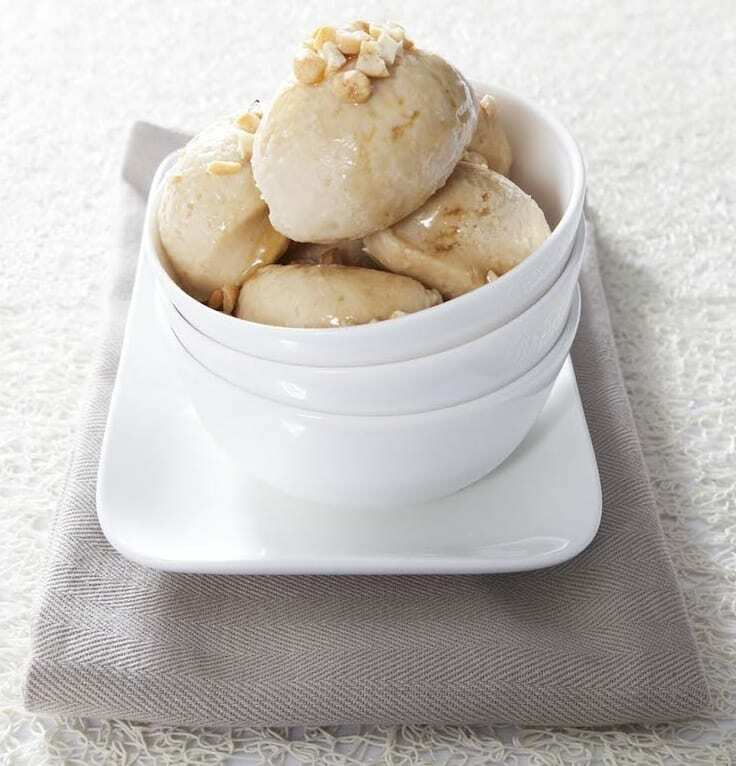 It is a protein-rich ice-cream without the dairy and still tastes amazing. Cashews and maple are a wonderful combination! 1. Place all the ingredients, except tofu, in a food processor and process until smooth. Add tofu and process further. 2. Place in a container with a lid and put in the freezer. 3. Stir the mixture 2 hours later and freeze again until set. This recipe is from my first cookbook ” Cooking With Soy“. Both hardcover and ebook (ibooks, kobo, Barns & Noble, Amazon and more!) are available. There are also more exciting recipes in ” Japanese superfoods” and my latest book Top 3 Japanese superfoods for natural weight loss. The best way of learning cooking? Please come and join my healthy vegetarian / vegan cooking classes in Sydney! We offer gluten free cooking, traditional and modern Japanese cooking and more.